In an attempt to flatter the disgruntled youth, Prime Minister Nawaz Sharif announced the Youth business loan scheme. This scheme will provide loans ranging from 0.1 million to 2 million to Pakistani citizens within age bracket of 21 to 45 years. The total funds reserved for this scheme are 100 billion for one year. This is a large scale program and huge amount of taxpayers’ money is at stake. This has generated a wave of happiness and debate for certain reasons and millions of eligible persons are applying for this scheme. 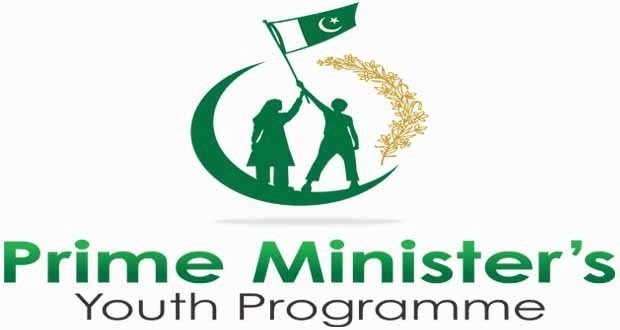 In my humble opinion this scheme is nothing more than a poorly conceived political stent in the guise of a development plan to win the youth of Pakistan who has been badly disappointed by current government so far. There are a lot of issues with the complicated process involved in applying and getting loans under this scheme. However, that’s not my point, because this scheme is not going to do anything good even if the procedures for applying are made very simple. Nor, will I go into the debate that this scheme involves 8 percent interest and that’s un-Islamic. My critique is based on pure economic and political reasons. This scheme will lend 100 billion to 100,000 individuals in one year. This means by average an individual will get 1 million. So, the assertion that everyone can get a loan of 2 million is incorrect from the outset. Moreover, the amount of loan can be less than one million and this will depend on the business plan submitted by the applicant. The point that I am trying to make is that this amount is way too less to start any successful business in current scenario in Pakistan. The inflation, fuel prices and electricity prices are sky rocketing and there is no sign of betterment. This means that an amount of 1 to 2 million can’t be used to start any meaningful business which can add value to the economy. Now when 100,000 people will get loans in this way then this entire amount of 100 billion will be wasted like the way money was being wasted in Benazir Income Support Program for pure political reasons. Youth business loan scheme is based on micro-financing which is a globally recognized tool for economic development. Micro-financing was successfully used in Bangladesh by Dr. Mohammad Younus of Grameen Bank. He changed the lives of thousands of people and also won the Nobel Peace Prize in 2006 for his efforts. However, a stable and absorbing economy is pre-requisite for the success of Micro-financing which is unfortunately not the case in Pakistan. Economic situation in Pakistan is marred by worsening Law and order situation, economic mismanagement and corruption at mass scale. All of these factors have made it infeasible for any Micro-financing scheme to operate successfully in Land of the pure. Apart from that organized robberies, kidnapping for ransom, shortage of electricity and gas, sky rocketing fuel prices and bureaucratic red tape makes Pakistan a business unfriendly country. These issues must be first resolved before starting a micro-financing scheme. Likewise, many people who are applying for this scheme know that the loan amount is nothing more than peanuts. Some of the applicants intend to use the borrowed money to build their houses, arrange their wedding or go to abroad; all of these require money which most people don’t have due to poor economic conditions in the country. Now, the percentage of such people might be less but most of the applicants have genuine financial troubles and they can use the borrowed money for resolving them. This means that the chances of recovery of loans are thin and so are the chances of effective spending of the loans by borrowers. Veteran journalist, Nusrat Javed, has written that 6 million people have applied for this scheme. Only 0.1 million people will be selected, so what about the rest of 5.9 million people who are also suffering from economic hardships. This scheme only covers a tiny proportion of the unemployed youth of the country and that also ineffectively. Any economic development program at large scale can only succeed if it contributes in increasing the purchasing power of the population. This scheme will do the opposite because it’s going to cause inflation. The government doesn't have funds for this scheme and it will use the shortcut of printing currency notes. This will increase inflation and that will reduce the purchasing power of the people. Government will carry this scheme on in coming years for the sake of its political reputation. This means that government will require more revenue and an easy solution for that is increasing the indirect taxes such as General sales tax on different commodities and telecommunication services. This will put an extra burden on the lower middle class and poor sections of the society. So, rather than giving anything positive to society, this scheme is doing the opposite. This scheme is yet another show piece project like laptop scheme, Danish schools, Yellow cabs and Metro-bus scheme, initiate to give the wrong impression that government is doing something for the people. Most of the people don’t have any doubts about the failure of this project like the previous show piece projects initiated by PML-N. This project is bound to fail due to the economic problems in the country. It can only be called a success and a revolutionary scheme by PML-N activists, pro-government columnists and members of PML-N defending this scheme on Talk shows. An objective analysis of this scheme by most of neutral analysts and economists can’t even call it a success. Those people who have voted for the current government should be ready for more such useless show piece projects which are meant to literally give a lolly-pop to the masses.